Medical malpractice claims are rising in prominence as a serious healthcare issue in the United States healthcare system. 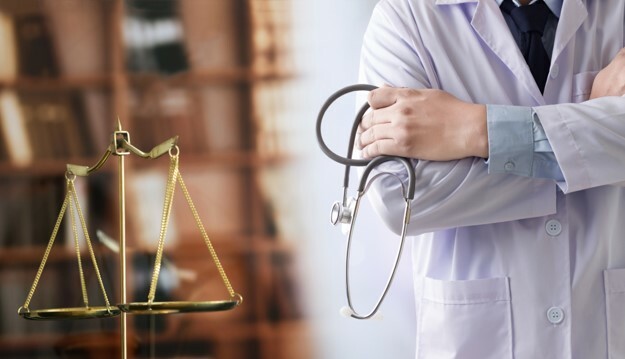 In the strictest legal definition, medical malpractice is a legal suit which must be able to attest that the healthcare practitioner breached a professional duty owed to the patient, and that this breach caused more than negligible harm, injury, or damages. Compared to the spectrum of healthcare practitioners, anesthesiologists and certified registered nurse anesthetists (CRNAs) are among specialties with the greatest number of malpractice claims. Longitudinal studies show that 34%, or roughly more than a third, of anesthesiologists, will face at least one medical malpractice claim that results in an indemnity payment over a six-year period. Furthermore, indemnity payments related to anesthesiology-based medical malpractice claims are often high-cost. Out of all physician specialties, anesthesiologists make up the third largest proportions of physicians that are faced with greater than a million-dollar medical malpractice claim. The magnitude of the financial burden incurred to the physician or hospital, underlined by the effect on the reputation of the physician, highlights the importance of this issue to anesthesia professions and management companies on a national scale. In examining this issue, it is essential to focus on the specific medical episodes that contribute to medical malpractice suits against anesthesia healthcare providers. The Advanced Institute for Anesthesia Practice Management cites that 43% of anesthesia medical malpractice claims are related to dental procedures. The next highest proportion of claims result from a death that occurred supposedly due to or because of improper anesthesia administration. Then comes nerve damage and tissue injury, both impactful issues to the quality of life of a patient. Finally, a small minority of claims result from issues such as infection, surgical complications, extended pain, burns, or errors in medication administration. 1. Informed, comprehensive consent is essential for preventing future claims. If the patient does not feel wholly informed about the procedure, including side effects and recovery time, he/she is much more likely to feel a sense of confusion and betrayal post-procedure. To encourage informed consent, practitioners should ensure that support staff such as research coordinators, registered nurses, and even physicians are trained on how to deliver ethical informed consent to every patient who walks in the door before the procedure. 2. Engage in enhanced documentation pre, during, and post operation. While documentation requirements are already rigorous and impede on the practitioner’s time, it is imperative that anesthesia providers have time dated intensive records at their hand in the event of an adverse outcome. Furthermore, documentation is a useful practice from the management perspective to analyze previous medical episodes to determine patterns of care or potential factors that may influence the outcomes of surgeries. In this field, information is key. 3. In the event a mistake is made, invest in mediation. Even in a highly controlled setting such as the OR, small mistakes can be made due to exhaustion, factors beyond a person’s control, or human error. If a mistake was undeniably made on the part of a practitioner, or the ER, it is far safer to remain open to mediation with an independent third-party mediator as opposed to engaging in slanderous arbitration. Mediation is a claims-solving technique that is rising in prominence as practitioners and patients alike begin to realize the downwards spiral of engaging in fruitless arbitration. With mediation, both parties can settle on a financial figure that each believe is fair for the claim at-hand. Furthermore, with mediation, patients are more likely to receive something that they perhaps were hoping for the entire claim — an apology, from the hospital or provider — that would otherwise be impossible in a courtroom setting. As long as people continue to work as healthcare providers, there can always be human error, and thus adverse outcomes. However, anesthesiologists, CRNAs, and healthcare administrators can prepare to circumvent medical malpractice claims by following the tools detailed above. In this way, physicians and patients alike can move together to a healthier future.